Known under other names such “Saira” or “Banjyo”, it is a fish with red meat rich with proteins. In season, the flesh is fatty and sweet. 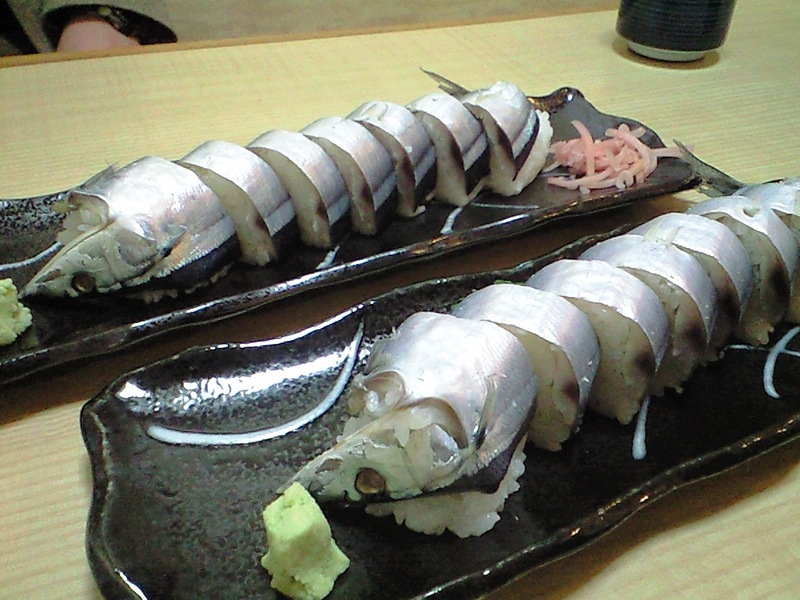 Its Japanese name 秋刀魚 means Autumn Sword Fish! 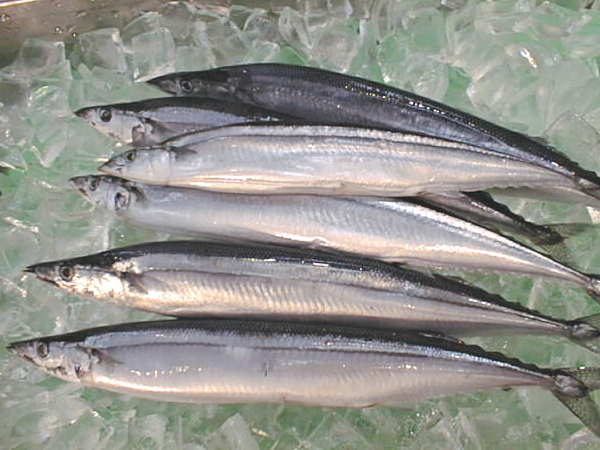 It is mainly caught off the north eastern shores of Japan as the fish swims down from Hokkaido. But the more south it is caught, the less fat it will contain. The annual catch exceeds 20,000 tonnes, although breeding is increasingly successful. 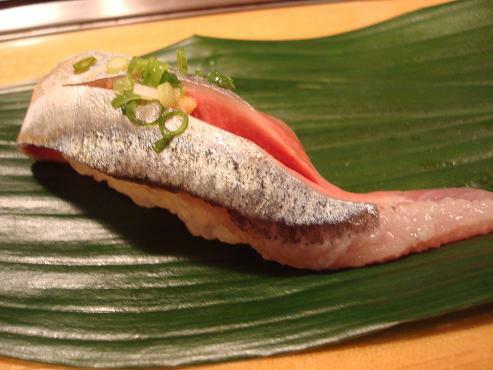 If you eat it at a sushi restaurant, you can expect its bones and head served deep-fried. 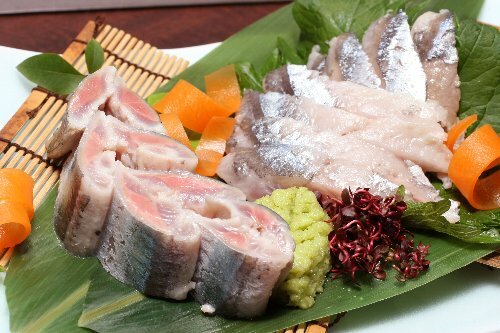 As sashimi it can be enjoyed straight with wasabi and soy sauce. But as it is a red-flesh fish it beautifully combines with grated ginger, sliced myoga or chopped thin leeks. As sushi it does come in many forms and can be pretty spectacular as a single sushi nigiri serving! 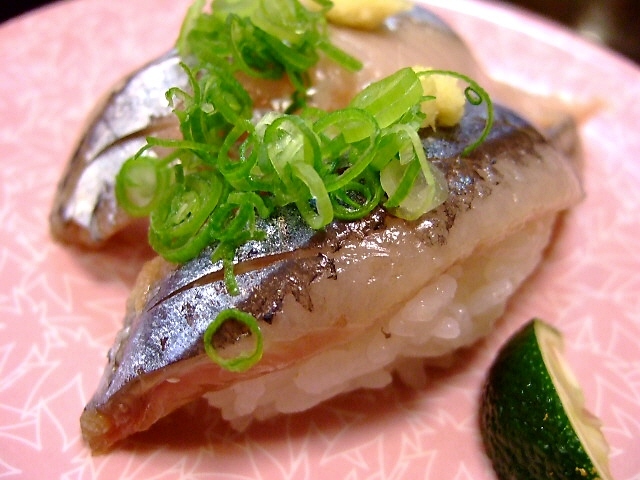 In waetern Japan it is very popular as oshizushi/pressed sushi. 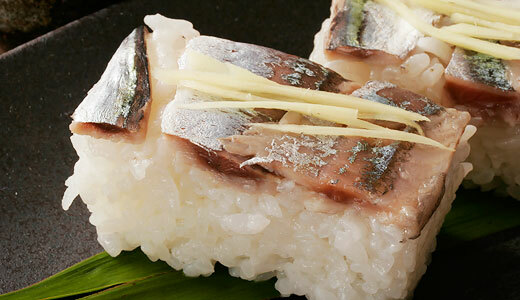 Another popular oshizushi version is “bo-gata/whole fish sushi”! 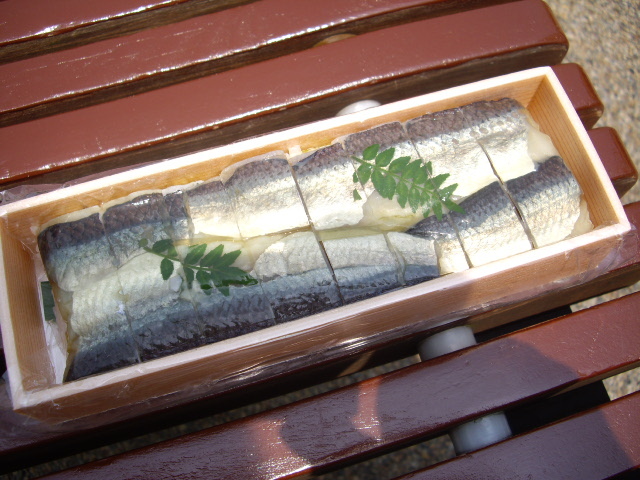 Bo-gata is often encountered as a sushi bento/lunch box! 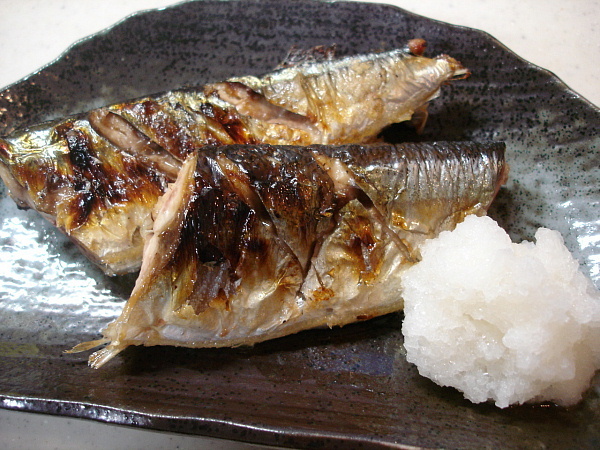 As it is a very rich fish, it can be eaten simply grilled with its skin and grated daikon and lemon. 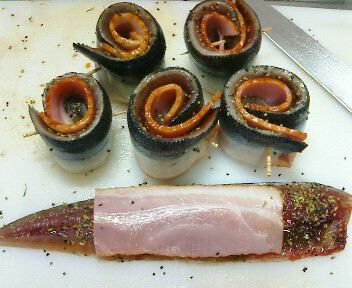 It is easy to manipulate such as the above sanma and bacon roll (later grilled)! 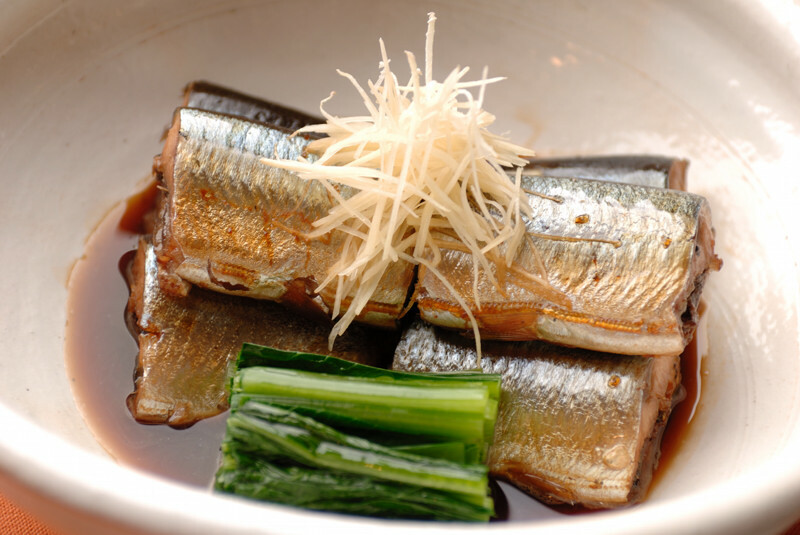 Of course it can be simmered Jpaanese style with soy sauce, mirin, sake and ginger! 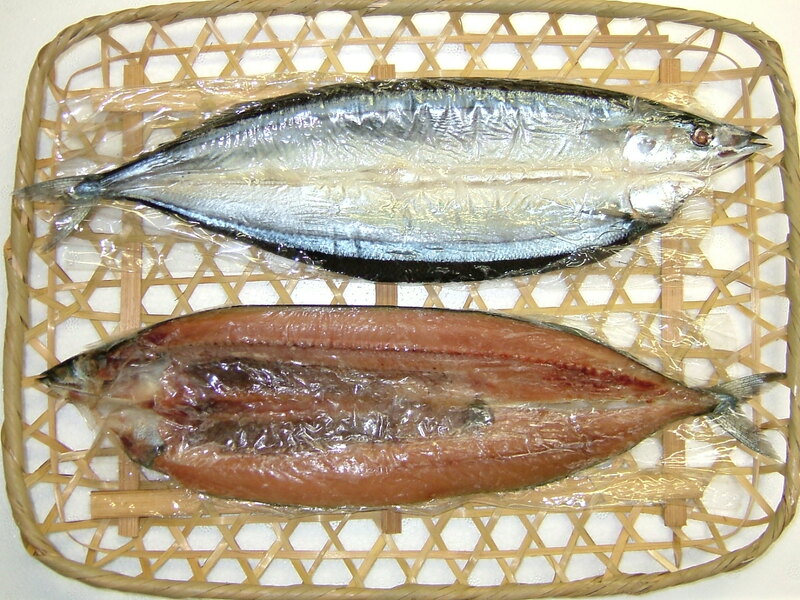 As himono/dried fish it is practical for carrying and grilling later! 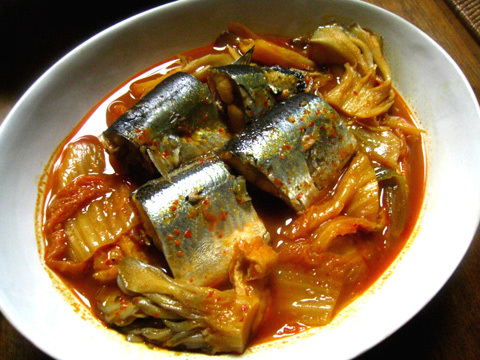 Tinned/canned it is comparatively cheap and can be accomodated in many ways, such as with kimchi!